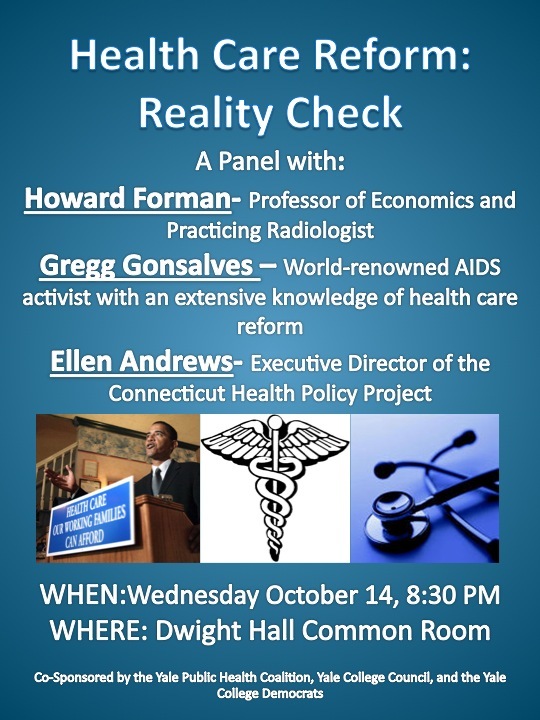 Gregg Gonsalves--A world-renowned AIDS activist, knowledgeable about healthcare issues, COBRA and problems of inadequate healthcare. Ann Middleton is a Research Associate at the Rudd Center for Food Policy and Obesity at Yale University. Prior to earning her MPH at Yale University, Ann worked in academic, financial, and non-profit communication, and most recently in health communication with the Academy for Educational Development (AED). With AED, Ann helped plan, develop, and evaluate the community roll out of We Can!, a national education program created with the National Heart, Lung, and Blood Institute. She was also involved in communication and social marketing projects on obesity, traumatic brain injury, immunization, and second-hand smoke exposure for the Centers for Disease Control and Prevention. At the Rudd Center, Ann applies her diverse background to support research on the nutrition and physical activity environment in low-income Connecticut preschools.